My children are growing up and with age comes curiosity. Why do they dream, what is a brain and why are their eyes blue? These are all questions that my youngest has bombarded me with in recent times. Of course I answer him but sometimes relating biological facts in a way that a young child can grasp and understand is remarkably difficult. 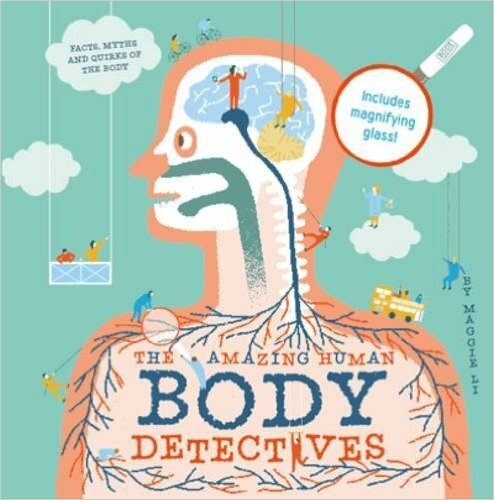 Thankfully I was recently sent a copy of The Amazing Human Body Detectives by Maggie Li to review and we’ve been perusing the pages to see if they can offer a better insight for a small inquiring mind. 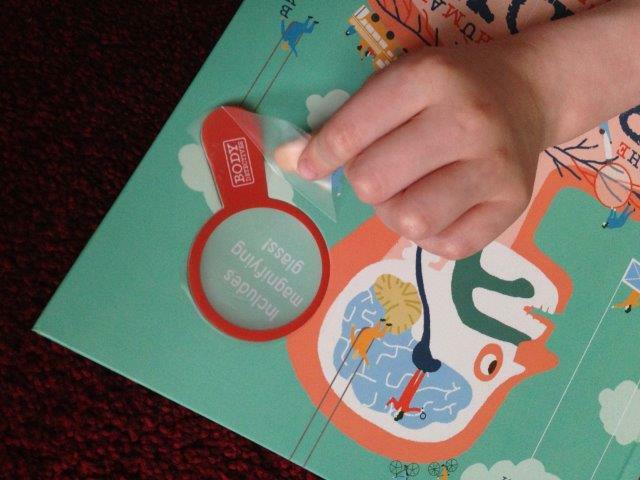 Maggie Li’s brand new book is aimed at kids aged five and above and it’s packed with fun pictures that illustrate various parts of the human body, what they do and why they do it. 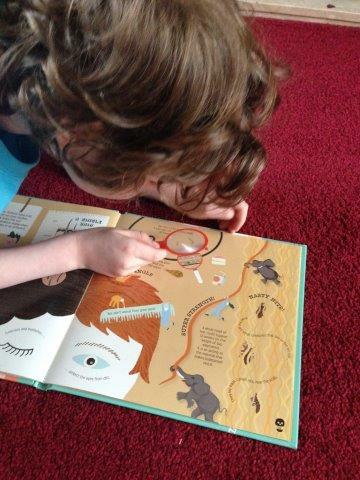 On the front cover there is an embedded magnifying glass that can be used at various points throughout the book. My son was initially quite reluctant to look through the book with me, he just didn’t seem overly interested for some reason. 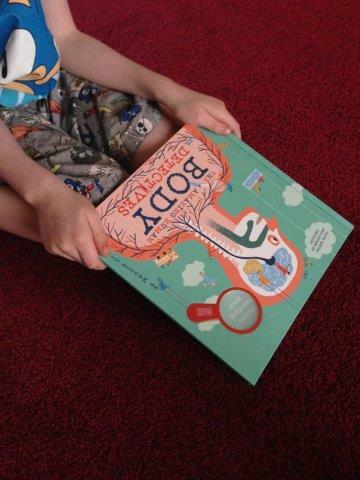 However once we’d removed the magnifying glass and opened the pages he was immediately hooked! He loved the images and none were scary or intimidating. 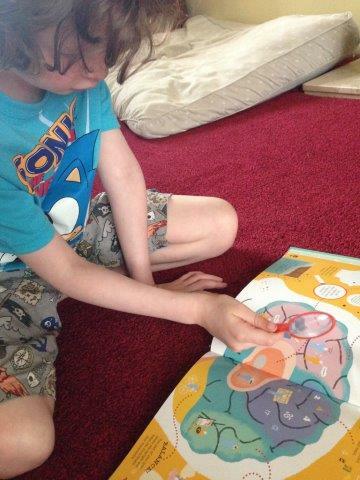 He was so impressed with any new found facts we discovered that he took the book away to show to his siblings. If you are looking for a child friendly book, beautifully illustrated but still able to answer some complicated questions then this is a great book to purchase. Perfect for young ones to read with an adult or older kids to read on their own. Quite a minor complaint but once the magnifying glass is removed from the front cover where it is secured with clear tape there is nowhere within the book to keep it. I can see this getting lost quite quickly. Although the book isn’t unusable without it. 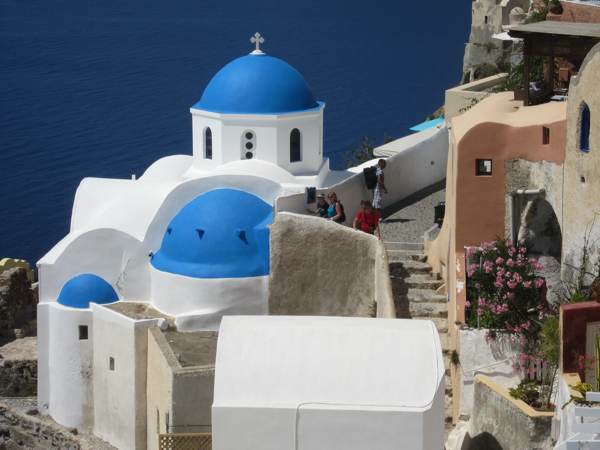 The blue and white churches of Santorini are a quintessential ‘Greek’ image, despite being almost solely confined to this one small island. I have visited the island before and I was recently fortunate enough to go back. 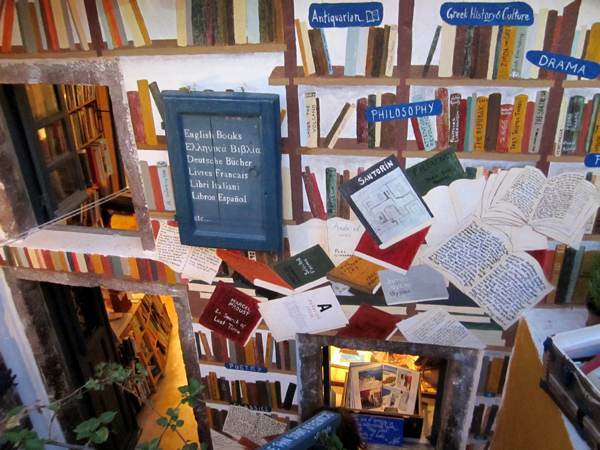 The bookshop itself is like a fairytale store come to life. 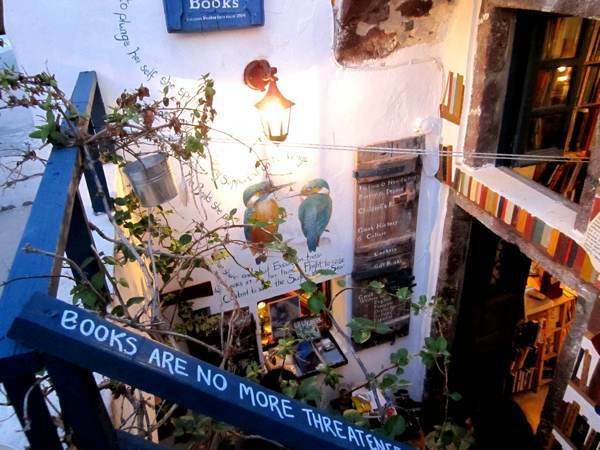 From the street you descend a small staircase which leads into a small cave house (the shop itself). From floor to ceiling every surface is covered in books, you could spend hours and hours just perusing. The staff are all very helpful, friendly and willing to give advice. 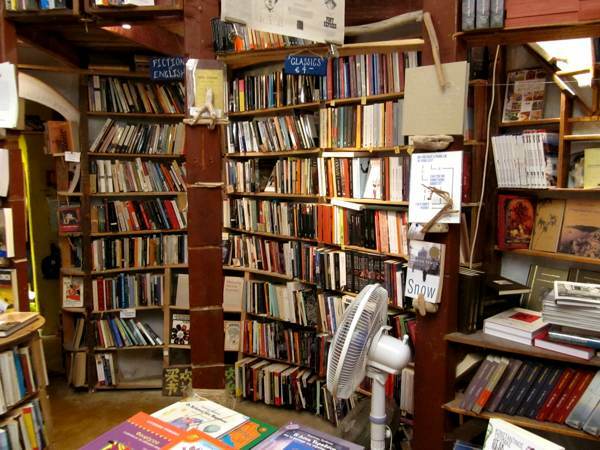 They also publish books through Paravion Press. I adored the small books which come with an airmail envelope, ready to post to friends back home. These books also have an empty page at the front for you to write a message on, I bought several just for myself! 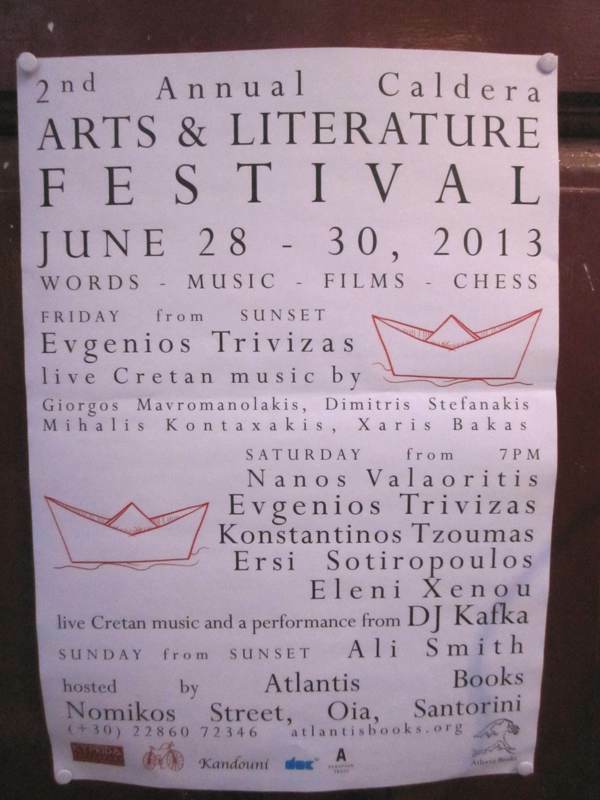 There was a real buzz about the place with talks and music continuing until late into the evening. On my second visit I noticed some very small books that had been made to look like a match book. They could be bought individually or four in a larger match box. For some reason I didn’t buy any of these (I blame the sun messing with my judgement!) and I regretted it as soon I got home. 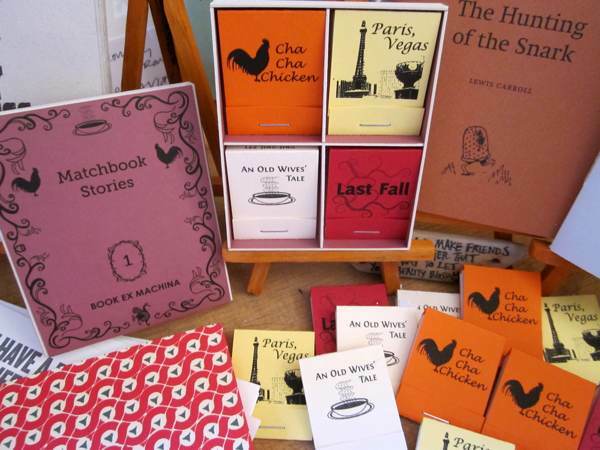 I’ve rectified my mistake and ordered myself a set from www.bookexmachina.com. 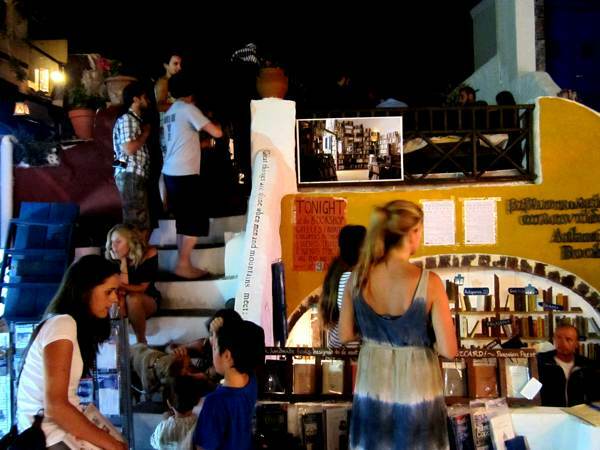 All these mini books and written and handmade on the island of Cyprus. 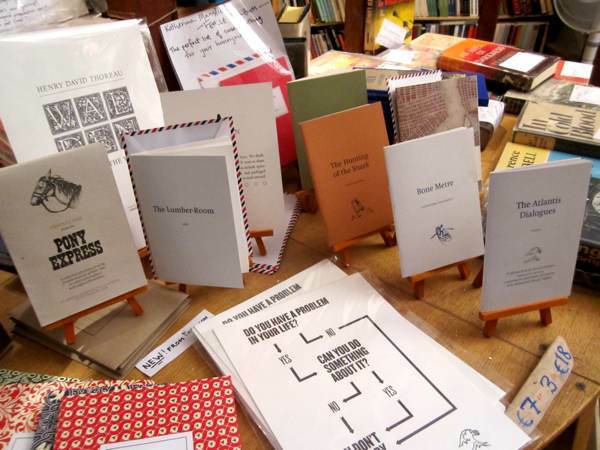 If you like the idea of writing or producing your own book or zine there is a self publishing fair at Quad in Derby this Saturday. It is free to attend and will include talks and workshops. It’s no big secret than I am a huge Chocolate fan, particularly homemade chocolates. When I was heavily pregnant with my last child I spent quite a few weeks in hospital. I was feeling rather sorry for myself as you might imagine but was instantly lifted when my husband arrived with a big box of homemade ganache chocolates. So when Auberge Du Chocolat arrived in the post, I felt just as excited at the prospect of many more delicious creations. Aside from the recipes I hadn’t anticipated the book containing other useful information. I am personally familiar with subjects such as bean variety, but as this knowledge is not terribly widespread I was pleased to see it covered here. 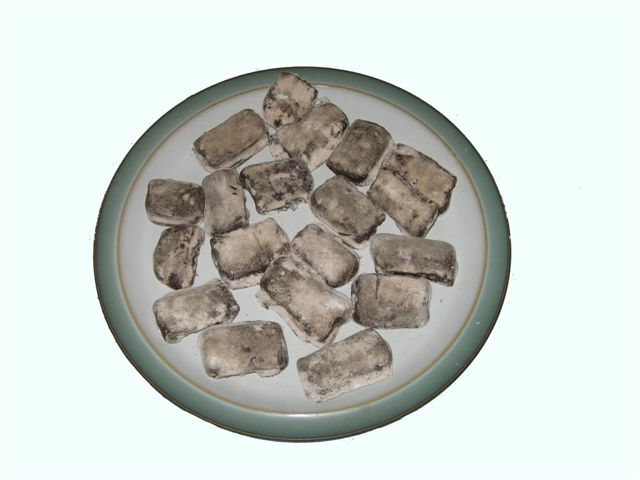 There is also a good amount of information on basic chocolate preparation techniques. There is even a chapter dedicated to making beautiful presentation packaging, how about a box made entirely from chocolate! I found it extremely hard to pick which recipes to try out, they all sounded so delicious. I eventually settled on the following. These have to be the smartest fruit around, dressed in their little chocolate tuxedos they are ridiculously cute and mouthwatering. 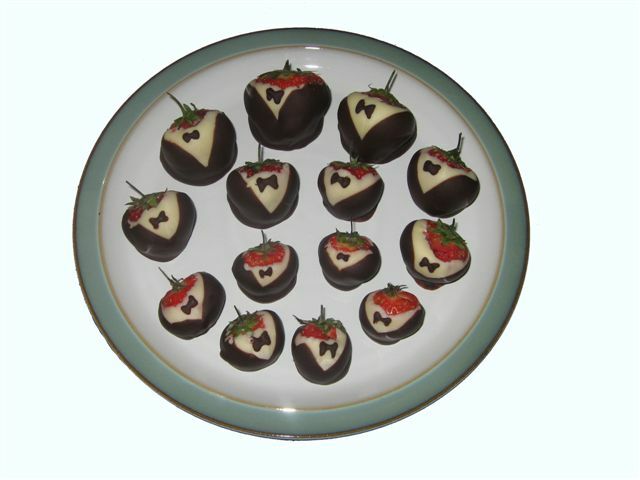 The recipe takes literally minutes to follow and you’re left with beautiful strawberries worthy of any dinner party. I’m not exactly sure what went wrong with this recipe but I ended up with something akin to chocolate flubber. My impression is that this wasn’t entirely correct. 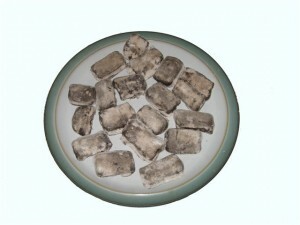 However we soldiered on and eventually ended up with slightly flat versions of the truffles from the book. In all honesty I wasn’t overly keen on them but my husband couldn’t seem to get enough. So I’ll put that one down to personal preference. Next on the list? Lavender Cups or Dulce de Leche or maybe Marzipan Ganache, there’s too much choice! 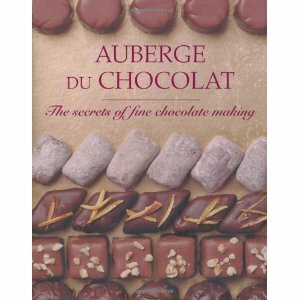 If you want to make your own chocolates, particularly to give as gifts then this book would be hard to beat. Despite my slightly odd result with the Cinnamon Truffles there are pages dedicated to common problems so if at first you don’t succeed… It’s beautifully presented with wonderful photography and would make a yummy gift in itself. I found some of the recipes a little scant in their writing style and they jumped slightly in places. Other than that it’s hard to find many faults.